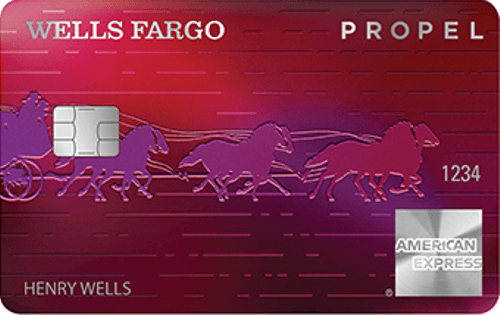 Below are our staff's reviews of 2019's best Wells Fargo credit cards, along with links to each offer's secure online application on WellsFargo.com. Our reviews follow strict editorial guidelines and are updated regularly. Wells Fargo and Company is one of the largest banks in the US and a leader in international banking, with branches in major financial centers around the globe. Wells Fargo is among the largest publicly traded companies in the world, with over 70 million customers worldwide. Major divisions include commercial banking, investing and wealth management, consumer finance, mortgage servicing and credit card issuance. 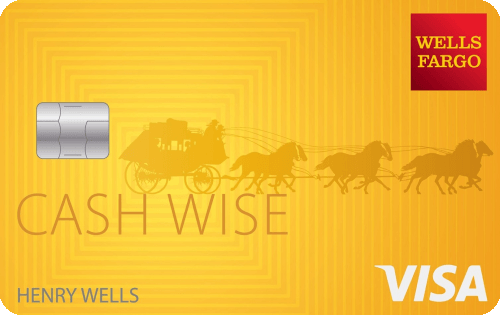 The story of Wells Fargo is deeply rooted in the story of the American West. The gold rush that began in California in 1848 brought about a massive influx of people, businesses — and opportunity. It also brought a need for banking and for secure transport of the gold that was flowing throughout the state. Founded in 1852 by Henry Wells and William G. Fargo, also the founders of American Express, Wells Fargo quickly grew into one of the most trusted names in both banking and express transport. Although Henry Wells and William Fargo were both East Coast natives , they realized very early the significance of California’s massive gold boom. They knew both banking and secure express services were going to be huge opportunities for growth in this fledgling state. Using their experience in both industries, they quickly became one of the most successful and trusted banks in California. When a banking panic gripped California in 1855, Wells Fargo was one of many banks that had to turn away depositors. However they reopened only days later, and were one of only a few banks and express companies to survive the panic. As a result they were stronger than ever, and gained a reputation for safety and dependability that has lasted throughout their history. As a company focused on both banking and secure shipping and transport, Wells Fargo and Company was in a unique position. They were instrumental in developing the Overland Mail Company, and even had contracts with the U.S. Postal Service for delivering the mail. 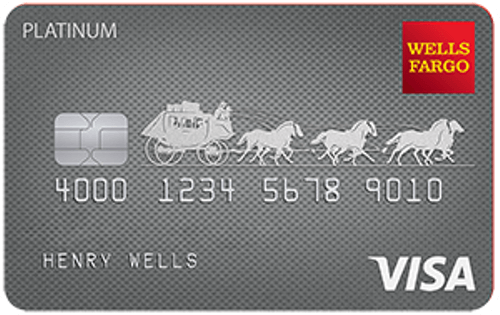 The famed image of a stage coach on the Wells Fargo and Company logo is a testament to their dominance in delivering goods and services throughout the western states. In the late 1880s as the rail lines were completed coast to coast, Wells Fargo connected thousands of communities with their combined express delivery and banking services. They also began offering money order services, and the means to transport them between distant locations. The first half of the 20th century brought steady growth and expansion to Wells Fargo, with a string of acquisitions and mergers. By the 1960s Wells Fargo had become the 11th largest bank in the U.S., and had the most branches of any banking institution in California. In 1966, Wells Fargo along with two other California banks formed the Interbank Card Association (ICA), and together they created Master Charge — later to become Mastercard. This new credit card quickly grew in popularity, and within two years had formed an alliance with Eurocard. Shortly after that, the Access Card in the United Kingdom became part of the ICA network, making MasterCard a truly international credit card. The 1980s and 1990s brought further expansion and mergers for Wells Fargo. Two of the largest were with First Interstate Bank headquartered in Los Angeles, and with Norwest Bank of Minneapolis. The latter merger in 1998 gave Wells Fargo an international presence, with offices in Canada, Latin America and throughout the Caribbean. It also made Wells Fargo one of the leading mortgage processors of the time — a niche they maintained and have continued to grow. The acquisition of Wachovia Corporation in 2008 made Wells Fargo one of the largest and best capitalized banks in the country. The modern Wells Fargo may barely resemble its stagecoach-driven roots, but the bank has maintained its place on the forefront of finance, adapting and changing with the marketplace to ensure it continues to meet the diverse needs of its customers.